Crucial question to determine applicability of Section 138 of the Act is whether the cheque represents discharge of existing enforceable debt or liability or whether it represents advance payment without there being subsisting debt or liability, the Bench said. The Supreme Court on Monday held the dishonour of a post-dated cheque given for repayment of loan installment, which is also described as “security” in the loan agreement, is covered by Section 138 of the Negotiable Instruments Act, 1881. The Division Bench of Justice Dipak Mishra and Justice A.K. Goel has dismissed an appeal filed by the director of a company against the order of the Delhi High Court by which the court dismissed his petition to quash criminal complaints filed under Section 138 of the Negotiable Instrument Act, against him and the company. Vide the loan agreement dated 15th March, 2001, the respondent agreed to advance loan of Rs 11.50 crore for setting up of 4.00-MW biomass-based power project in Andhra Pradesh. The agreement recorded that post-dated cheque leaves towards payment of installment of loan (principal and interest) were given by way of security. The cheque leaves carried different dates depending on the dates when the installments were due and upon dishonour thereof, complaints, including the one dated 27th September, 2002, were filed by the respondent in the court of the magistrate concerned in New Delhi. The appellant approached the high court to seek quashing of the complaints arising out of 18 cheque leaves of the value of about Rs 10.3 crore. His contention was that the cheque leaves were given by way of security as mentioned in the agreement and that on the date these were issued, no debt or liability was due. Thus, dishonour of post-dated cheque leaves given by way of security did not fall under Section 138 of the Act. The Supreme Court observed that the question whether a post-dated cheque is for “discharge of debt or liability” depends on the nature of the transaction. 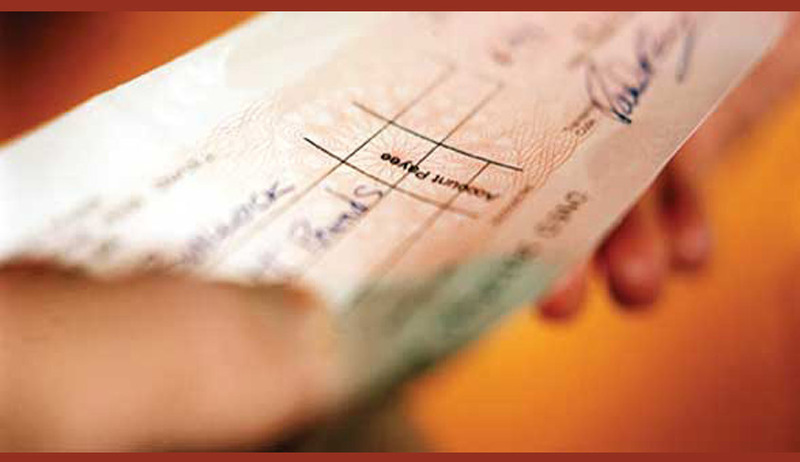 If on the date of the cheque liability or debt exists or the amount has become legally recoverable, the Section is attracted and not otherwise. The Bench said crucial question to determine applicability of Section 138 of the Act is whether the cheque represents discharge of existing enforceable debt or liability or whether it represents advance payment without there being subsisting debt or liability. The Bench concluded that the dishonour of cheque in the present case being for discharge of existing liability is covered by Section 138 of the Act, as rightly held by the High Court.